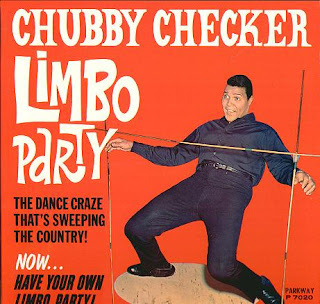 "The limbo dance is a well-known feature in the Carnival life of the West Indies today... The limbo dancer moves under a bar which is gradually lowered until a mere slit of space, it seems, remains through which with spread-eagled limbs he passes like a spider. Limbo then reflects a certain kind of gateway or threshold to a new world and the dislocation of a chain of miles... I recall performances I witnessed as a boy in Georgetown, British Guiana, in the early 1930s. Some of the performers danced on high stilts like elongated limbs while others performed spread-eagled on the ground. In this way limbo spider and stilted pole of the gods were related to the drums like grassroots and branches of lightning to the sound of thunder"
great pairing of image and quote. thank you.